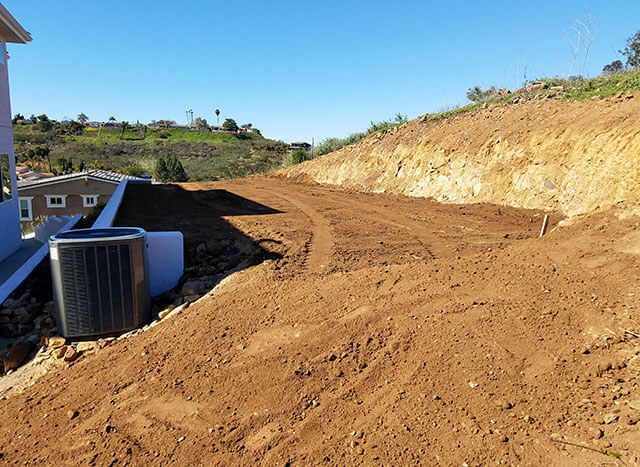 Hidden Valley Backhoe & Trucking, Inc. provides expert soil compaction and re-compaction services for new construction and remodeling projects throughout San Diego County including Carlsbad, Encinitas, Oceanside, and surrounding cities. We're a licensed and insured general engineering contractor that has provided excavation, grading, trenching, backfilling, and other backhoe services for thousands of satisfied clients since 1999. Over the years, we've become known amongst local area architects, developers, builders, and property owners for our high-quality work, professionalism, industry knowledge, honesty, and fair prices. As a result, more than a third of our business comes from customer referrals. 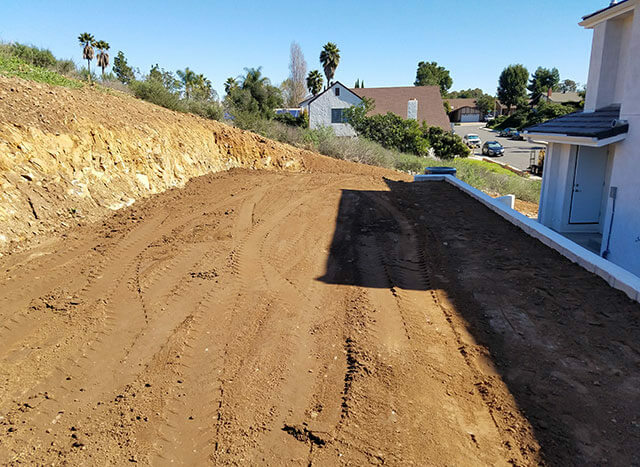 Whether you're planning a small room addition, a new custom home, or the construction of several commercial buildings, the long-term success of your project will depend on its foundation, starting with the soil conditioning. This is why it is critical that you work with a qualified and experienced engineering contractor handle any soil re-compaction requirements. At Hidden Valley Backhoe & Trucking, we have more than 18 years of experience mixing and compacting soil. To meet the soil composition and compaction requirements for your project, we'll dig out the dirt to the required depth, add water, and mix the soil until it is achieves the required moisture content. Once it is uniform, we spread and re-compact the soil in layers/lifts, and have the soil compaction tested by a geo tech every few feet. Because of our experience and expertise, every soil re-compaction is performed correctly and done to code, so that it passes all tests and provides the proper soil foundation for the planned construction project. If needed, we can also import fill dirt and perform rough and finish grading. Call Hidden Valley Backhoe & Trucking, Inc. today to learn more or schedule a free on-site consultation and estimate. We pride ourselves on providing accurate, upfront quotes, and provide written guarantees with every contract. In addition to holding an active Class A general engineering license, we're also an SDG&E Certified Gas Backfiller, which means that we're qualified to work on and around gas lines. We're a non-union shop, and everyone on our staff has between 15 and 30 years of experience in the field. When clients have us handle multiple scopes of work rather than hiring a variety of different contractors, they often save time and money on their building projects. I have known Greg, the owner of Hidden Valley Backhoe and Trucking for more than 30 years. Greg and his crew are an excellent choice for underground utilities, grading, excavation, demolition, hauling and many other services. Their prices are . . .